Will 'Star Wars: The Last Jedi' beat 'The Force Awakens' at the box office? "Star Wars: The Last Jedi" lands in theaters Thursday night and its biggest competition at the box office this weekend is not another big opening, but rather, a previous "Star Wars" film. "The Last Jedi" is the next installment in Disney's space saga and is the sequel to 2015's "The Force Awakens," which occupies the top spot for the biggest box office opening ever. 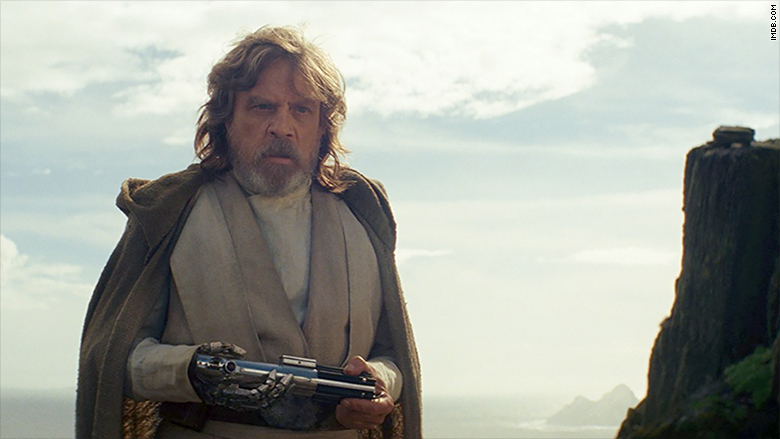 Episode VIII, which opens in more than 4,100 theaters domestically and stars Daisy Ridley and Mark Hamill, not only has to live up to the galactic hype that comes with any "Star Wars" film, but it has to follow in the footsteps of its predecessor. Box office analysts are predicting that "The Last Jedi" will open at around $200 million to $215 million in North America. Anything more than $208.8 million at the box office this weekend would make it the second biggest opening of all time, behind the $248 million that "The Force Awakens" raked in two years ago. It's unlikely that "The Last Jedi" will fly as high as "Force Awakens," and chief analyst at BoxOffice.com, Shawn Robbins, explains why. 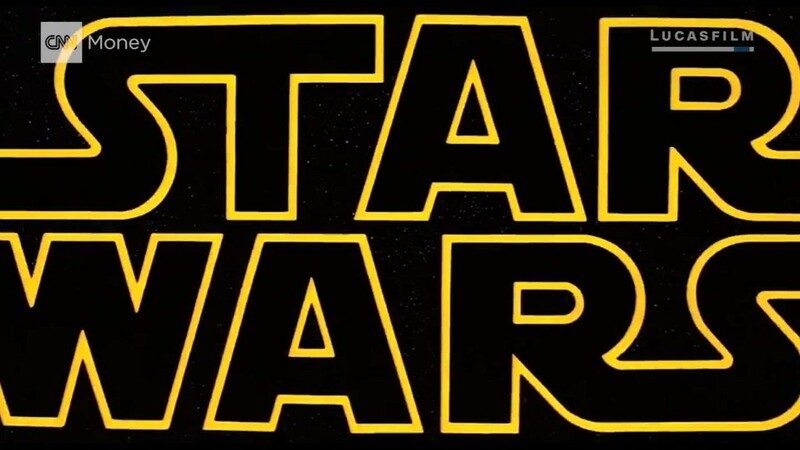 "'The Force Awakens' capitalized on a perfect storm of elements to achieve its numbers and become the cultural event that it was: a decade-long absence from theaters, a forward-moving sequel that fans waited 32 years to see, and the achievement of recapturing the 'Star Wars magic' that many felt the prequels lacked," Robbins told CNN. "Multi-generational fandom will still be in play for 'The Last Jedi' as it has for every film so far, but perspective is paramount." "The Last Jedi" still has plenty working in its favor beyond its brand name. The film is getting rave reviews from critics and currently has a 94% score on review site Rotten Tomatoes. That's better than "Force Awakens," making it one of the best reviewed films of the year. "Star Wars: The Last Jedi" is looking to put up some huge numbers at the box office. Will it be as big as "Force Awakens"? There's also the Carrie Fisher x-factor. Fisher, who reprises her role as Princess Leia, made her final film appearance in "The Last Jedi" before her sudden death last December. Her last run as one of the most recognizable characters in film could bring more people to the theater. "While it's tough to distinguish between the various reasons that people are anxious to see the film, there's no denying the bittersweet appeal of seeing the final on-screen performance of a legendary actress in her most iconic role," said Paul Dergarabedian, senior media analyst at comScore (SCOR). Yet, just because it's a "Star Wars" film, that doesn't mean it won't have any hurdles at the box office. "The Force Awakens" competed with movies that had less hype, but "The Last Jedi" is competing with award season contenders, "The Greatest Showman" and "The Post," as well as popular sequels, "Jumanji: Welcome to the Jungle" and "Pitch Perfect 3," all of which are opening next week. "The real win is in the reviews and most importantly how the fans feel about the movie," Dergarabedian said. "The 'Star Wars' franchise is a long term play for Disney and while opening weekend numbers are important, they are just the first step in a very long journey."